You can go further when you have the right people with you and that’s a fact. We were created for relationship and more importantly, we were created for the right kind of relationships. Most people agree, we become like those we hang around with, so the question is, who are you hanging around with? In pursuit of the dream, the accomplishment of a particular goal or just a strong desire to lead well in life, all can be enhanced by having the right people around. Be willing to ask yourself the tough questions. People can bring out the best in you or the worst. People can lift you or pull you down. Who do you have around you and what do they bring? Do they believe in you? Do they encourage you? Do they inspire you? Do they resource you? Do they challenge you? Do they ask the right questions? Do they celebrate with you? Do they have a great walk with God? Do they demonstrate loyalty? Do they trust you? Do they share the same values and beliefs? Now, I’m not telling you to go and say goodbye to all your friends but I am telling you to be careful about your connections. The right ones can cause you to flourish, the wrong ones may possibly destroy you. When there were 80 days left until the New Year I asked what would you give your attention to during those days. Now 14 days have already passed, lets see what we have done. [Awkward moment when we reflect and either say something or nothing]. 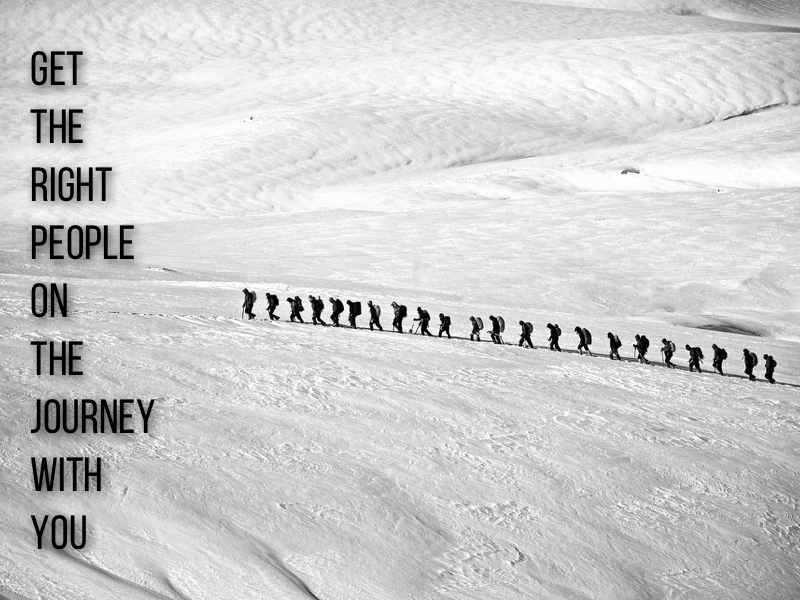 Here’s one thing you can do which will help in making some progress – get the right people with you on the journey. Take time out over the next couple of days and ask yourself, who is the one person who could help me, who could I share my dreams with, who could I be accountable to for actually making things happen. If you believe in God, why not spend some time asking Him to help in bringing the right people into your world. How has having the right people around you helped? Did you read Psalm 37? Did you see how full it is of great words and promises from God? Did you gain encouragement from the Word? Did you see how much God is on your side? If I spend my time looking around at how others are doing and I begin to compare my life with theirs, then I may well experience some of these emotions. Yet Gods word is simple ~ don’t. Instead trust me, commit to me, delight in me and I will take of the rest. This is what the word of God always does for me ~ it reminds that in staying close to God, He stays close to me, protects me, blesses me and helps me as I continue to walk through life. There really is no better place to be. It’s easy to get caught up in the doing of a job, be overly-led by a job role/description, maybe even make the Executive Pastor [XP] role too operational. In my opinion it is much more than just keeping an eye on the budget and all that stuff, although they are very important. Here are 5 things I work on and remind myself of often which I hope help me in my role as an XP . To Be a Better Listener. I acknowledge this is a much needed area of improvement for me. I like to give an opinion, yet I am learning that the XP role requires a greater willingness to listen. It has to be about helping others feel like they have been heard and understood, even if the answer is still no or not yet. To Become More Solution-Orientated. This doesn’t mean I fix everything but I can give time and attention to a challenge or idea that others may not be able to. Sometimes this can involve some tough conversations, asking the difficult questions and digging in to understand something properly. The bigger challenge is doing so in as graceful was as possible. To Develop Others. I am always reminding myself, what we do is all about people. I might love a good system or process to help move things forward, however there is no substitute for being more focused on growing bigger people. To Make it More Fun. I mentioned in church the other Sunday how I used to be the life and soul of the party and that maybe I have allowed an appropriate level of sarcasm to become cynicism. There’s an honest ouch! Life should definitely be more fun. To Always Know the Heart of my Lead Pastor. Probably the most essential. Knowing what to say yes or no to depends on me knowing and understanding my Lead Pastors heart. This means good, regular, open and honest communication, alongside the need for a strong trust-filled working relationship. If I don’t know him well enough then I cannot act on his behalf with any confidence. I am here to serve my Lead Pastor and his vision, which is all about God and building the local church. It’s about being able to work well with others, including people in the process, in the decisions and empowering them to make things happen. If you are in a similar role, what would you add to this? If you are a Lead/Senior Pastor, what would your comments be? Doing life with the right people is so important. Every now and then it’s good to take an inventory of your friendships and be willing answer some honest questions? Are they for you or are they really just for themselves? We can think they are our friends but really they are just friends with themselves. They are not looking after you, just looking after themselves. Toxic friends are totally self-centred. Do they talk about others with you? Think about. If you love that you can get the gossip of them about others, maybe you are who they gossip about when you are not there. Toxic friends love to gossip. Is how they speak about people uplifting and encouraging or condescending and rude? Be honest. Think about how they talk about other people. Toxic friendships are hurtful and selfish. It may tickle your ears but it’s not building your heart. Do they help you even though it might tough or do they just help themselves? Is it always about them? Are they protecting you or just protecting themselves? Do they give their opinion but never ask for yours? Toxic friendships need to removed. However it feels, you will not truly flourish until you make the tough call and draw away from the wrong type of friends. As much as we are all very different – maybe in our tastes, habits, values, what we enjoy doing etc – the bond we have as family is very strong. This week we have spent time in some ‘interesting’ lodges near Derby, not for ourselves but for our dad. 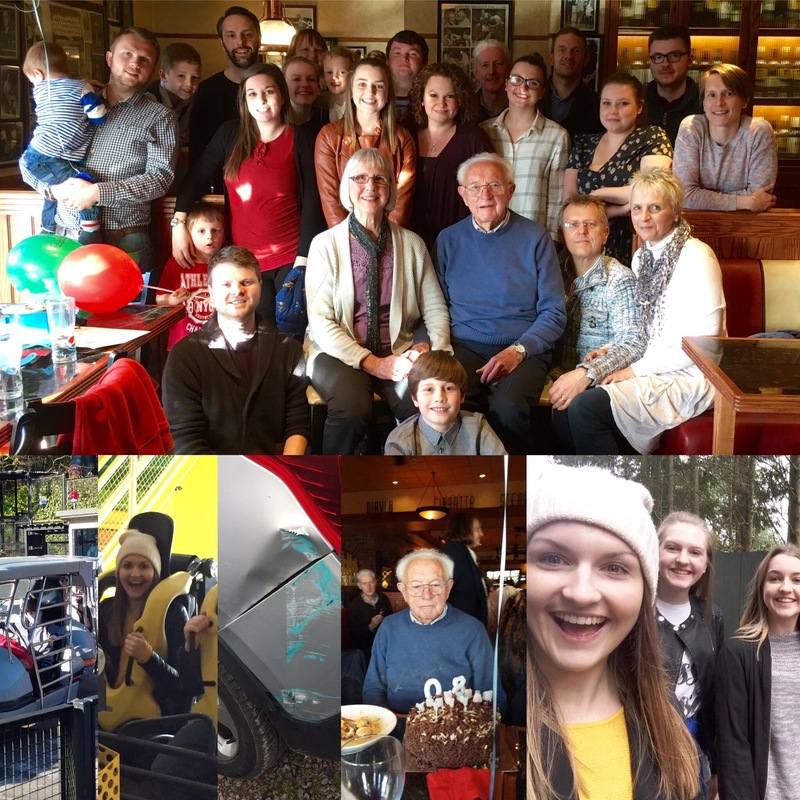 He isn’t as spritely as he used to be, however he has loved being around his children, grandchildren and great grandchildren for the week. He even managed to score over 80 at tenpin bowling today. Like I mentioned at the start of the week – times like these remind me that family is important. I am thankful for my natural family. I know that not everyone can say that. I am grateful for my upbringing and the values my parents instilled in me and those I caught from them too. I am also thankful to be part of Gods family. A place where that same kind of support, encouragement, love and appreciation can be found. Add to that the prayers I know people say on my behalf – I am very blessed. Despite our differences our core values and believes bring us together, for our God and for one another. How is your family important to you? Both natural and spiritual? We went out for a meal today. 24 members of the Clark family. One very large family photo was taken. The waitress was probably glad to see us leave. What was his favourite life memory? What advice for life would he give? What would be his one piece of leadership advice? Too many things to ask really. After 80 years of life experience there is a lot of wisdom that should be shared. If you had the opportunity, what would you ask your parents? This week we are away for a full family get together to celebrate my dads 80th birthday. 23 of us aged from 2 to 80yrs. Family is diverse. We may be blood but that doesn’t make us all the same. Different personalities, different habits and different things that we enjoy. And that’s okay. Family support. We may not be with each other all the time but if anything happened to one of us then the rest would be there to help. So here’s to a great week off work, enjoying each other’s company, eating lots of food and heading to the rides at Alton Towers tomorrow. Not sure if my dad will ride the Oblivion though.